Men find it easy to judge their brothers and sisters, but have you taken time to reflect on how you judge one another? Jesus said to the Prophetess, Maria Valtorta, in the Poem of the Man-God, Volume II — Jesus speaks about how mercilessly mankind judge persons who go to prison – some who may not have committed the crime. Jesus said these are souls who were found out. The world condemns them, but there are more criminals roaming the streets, but were not found out. They believe they are innocent, yet in truth, they are more guilty. Jesus says: Do not think that there are only criminals on galleys (ships); one eye of human justice is blind, it judges erroneously. Jesus says: Let your charity go with greater reason to comfort the martyrs of human injustice – both those who are utterly innocent and those who have been led to kill a cruel force. 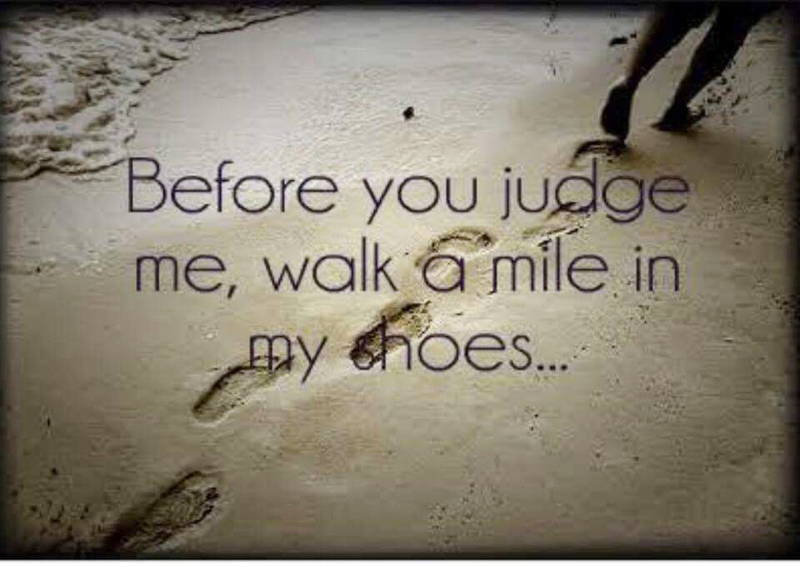 Do not judge what has already been judged. You do not know why a man was driven to kill. (You do not know why a person went on drugs – took up prostitution – stole – committed adultery – committed a sexual crime) – (But) God knows, that is enough. Jesus then says: What if on the forehead of every person on Earth, the sins of man were placed in various titles and colours – would you then judge your neighbour? Well, think about it. This is what happens when the Media constantly parade men and women before the public – before a trial, during a trial and after a trial – even after the person has done his time. They are never free; they have a life sentence – especially those who go on parole, or are on registers or bracelets. Men continue to judge these souls not giving them a chance to redefine their lives, or pick up their lives that have been destroyed, including the lives they may also have ruined. Society claims that the authorities are doing all to rehabilitate the offenders and help them to reintegrate into society, so that they can atone, or rebuild their lives. But this is not true, as society continues to persecute and follow those who have been condemned by society, because they made a human mistake, though a serious one. But how, afterwards have you judged such a person without knowing all the facts?